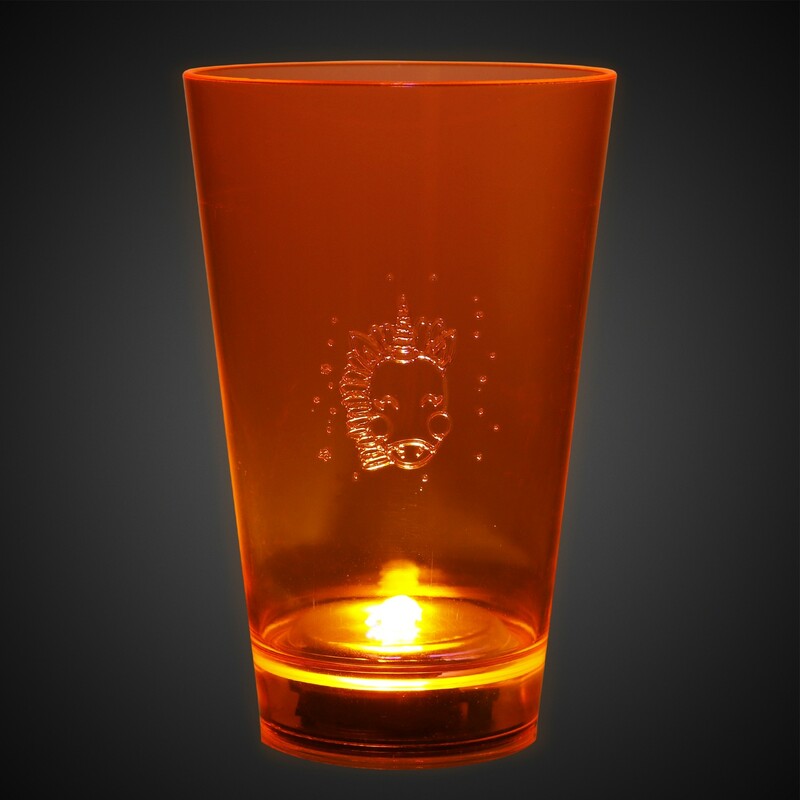 Customers will tumble for your brand when you hand out this Orange 12oz. 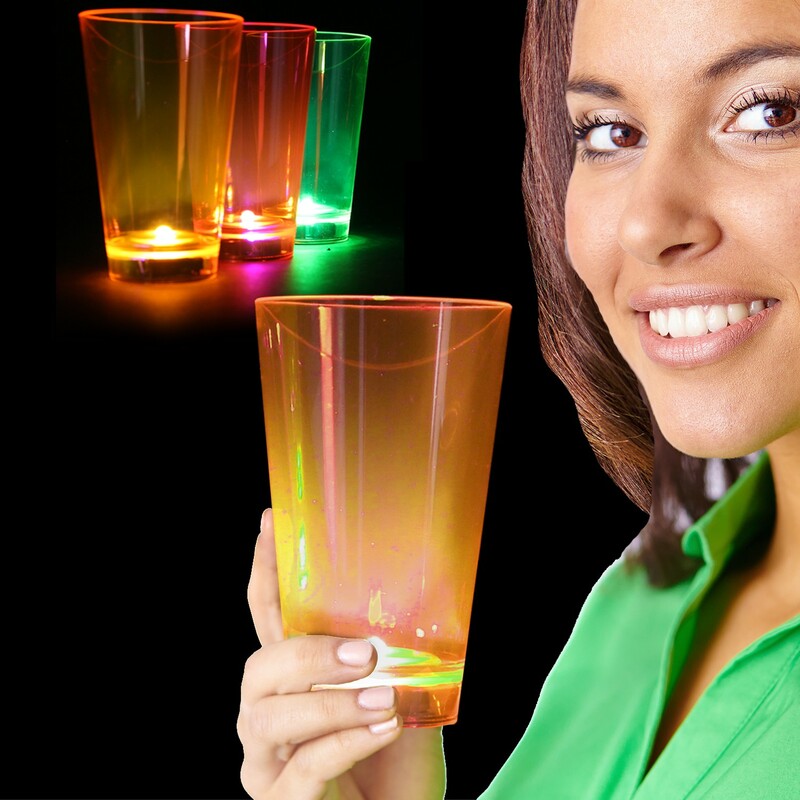 Neon Plastic LED Tumbler at your next event! This luminous and handy item is made of UV-reactive plastic and is back-lit with dazzling built-in LED lights. It has three different light functions - fast flash, slow flash and steady on. 3 replaceable AG13 batteries are included and installed. Each tumbler can also be imprinted with a logo, event title, or company name, making this great for corporate parties, trade show giveaways, and any other promotional settings. Hand wash only. It is available in three colors. Sip to success by investing in yours today! * Fast Ship: This product is a member of our fast ship program. We can ship this item (up to 1000 imprinted pieces) within 24 hours after artwork is approved. Rush Fees May Apply, please inquire. Above pricing includes a 1 color imprint in 1 location. For all imprinting add a Set-up fee of $55 (v). We may offer additional locations and up to 4 spot colors, PMS matches acceptable @ $14 (v) per color. For each additional location and for each additional spot color add a Set-up fee of $55 (v) and a running charge of $.25 (v) per color, per location. Imprint Minimum is 180 pcs. Imprint Method: Pad Print and Laser Engraved. Production Time: 5-10 business days after receipt of artwork and approval.